Earlier this year, Tripura’s state fruit, the ‘Queen’ pineapple, hogged global attention courtesy a series of exports to Dubai, Bahrain and other countries. But, due to “heavy maintenance costs and low sales”, the ‘Queen’ pineapple is now rotting in the orchards of Sonamura sub-division of Sipahijala district, 70 km south of Agartala. A report published in the The Indian Express stated that ever since the incumbent Bharatiya Janata Party-Indigenous People’s Front of Tripura (BJP-IPFT) Government assumed office in Tripura on March 9 this year, they have heavily emphasised on developing local resource-based industries and entrepreneurship. ‘Queen’ pineapple — one of the three varieties of the tropical fruit that grows in Tripura — grabbed special attention. Farmers of Sonamura, where the ‘Queen’ flourishes, refer to it as “the sweetest variety of the fruit ever grown.” During his visit to Tripura in June, President Ramnath Kovind declared it as the State’s official fruit, setting off a flurry of celebratory headlines. The report further stated that after the media hype died down, the ‘Queens’ were found dying a lonely death in orchards in different parts of the State. The sealing of the Indo-Bangla border (Tripura shares an 856 km-long international border with Bangladesh) was perhaps the first blow to the fruit sales. Parts of the Sonamura sub-division (including Motinagar, Kamalnagar, Kalamchowra and other villages) are located right beside the border. Barbed wire fence along the border is now set up in most parts of the State. However, patches of 9 km border area in Sonamura, and few parts of Dhalai district, are still unfenced. Smuggling of clothes, narcotics, electronic gadgets, fish and pineapples used to be a prime avocation of many at Sonamura till the early 2000s. But, with a sealed border and tight security, pineapples from Sonamura don’t have much of a market in Bangladesh anymore. “Earlier, we didn’t have barbed wire fence in the border and many people used to smuggle the fruit to Bangladesh. But, now there is no such scope,” pineapple grower Jakir Hussein of Kulubari village in Sonamura said. Moreover, the domestic market was limited and there was nearly no State-promoted procurement of pineapples. Till the new Government came to power in March. It was then that the stage was set — pineapples were to be the next big thing in the State’s horticulture economy. Tripura’s pineapple farmers, however, have another story to tell. “Government assured us that our pineapples would be procured for export and we grew them alright. But nobody came to pick them up and tons of the fruit just rot away,” says Hussein. According to records of the State Horticulture Department, Tripura grows 1.28 metric tons of pineapples every year across 8,800 hectare orchards (some Government-owned but most private) in different districts. Over 4,000 pineapple growers are directly connected to cultivation of the fruit. Hussein, who is also an engineer and an outsourced building planner at Sonamura, owns two ancestral pineapple orchards. He says he planted ‘Queen’ pineapple in all the gardens and harvested the crop around two months back when the Government announced that private industrialists would procure and export them to Dubai. “Someone came here and announced that they will buy pineapples at Rs 10 per kg. We stockpiled the fruit after we got news that dealers would come. But nobody came!” Hussein said. Even the ones which were exported never made it to the final destination. The first consignment of 1 ton ‘Queen’ variety pineapple was shipped to Dubai — via Delhi —on June 3. The consignment had 1,000 pineapples procured from eight farmers in Bilascherra village in Dhalai district. However, with Nipah virus scare in India and adjoining countries, the fruits were reportedly halted at Kolkata for several days, during which many of them went rotten. The Horticulture Department officials denied any confirmation on the issue since the export was done by private parties. 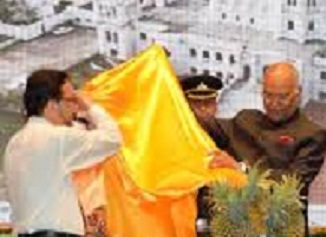 During the ‘flagging-off’ ceremony at Agartala on June 3 last, Agriculture Minister Pranajit Singha Roy said that similar shipments would be made every two days. However, no pineapples were purchased from Sonamura. Delowar Hussein, 38, another pineapple grower of Motinagar Village, said he cut all his pineapple plants which were growing in the shade of his rubber plantation. But with no sale prospects in sight and a huge maintenance cost, Delowar slashed all of them. Asked to comment on the issue, the Director of Horticulture and Soil Conservation Arun Debbarma, admitted that there were some problems regarding marketing of pineapples. “Efforts were taken to export pineapples to other countries this year. There was a problem regarding marketing earlier. We have noticed that there was a reduced sized crop due to certain practices. Those are not exportable. We don’t offer any compensation for such crops. But we are hoping to start a massive skill development training for pineapple growers from September this year to help them grow better crops”, he said, adding that some cash assistance was being given for rejuvenation of pineapple gardens.